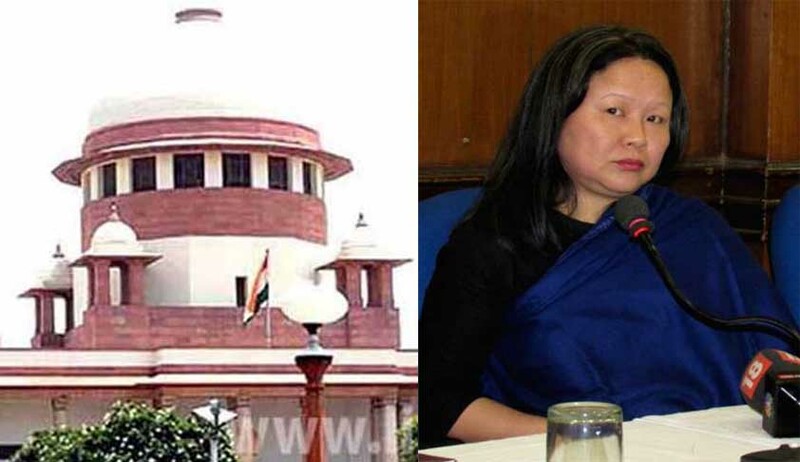 Less than a week after the withdrawal of her letter to Chief Justice of India (CJI) JS Khehar on the ground that the same was converted into a letter petition, the wife of deceased Arunachal Chief Minister Kalikho Pul now wrote a letter to the Supreme Court questioning how and under what circumstances her letter was placed for hearing in an open court. Pul had committed suicide in August last year after he was removed from the post of CM by the top court in July. Sending a four-page letter to the Secretary General of Supreme Court on Tuesday, Dangwimsai Pul raised six questions and also sought supply of the February 22 order, which was passed by the CJI for hearing of the letter in the open court next day. On February 17, she had written a letter to CJI seeking permission to file an FIR on the basis of her husband’s note. Raising objections, her lawyer had expressed to withdraw the same when a bench of Justice Adarsh Goel and Justice UU Lalit started hearing the letter petition on February 23.Senior advocate Dushyant Dave told the bench that his client had sought only administrative order, not a judicial order on her letter. The Bench then allowed her to withdraw the petition. 1. Whether decision on the administrative side as reported in The Indian Express was indeed taken, and if so, a copy thereof be supplied. 2. If not, was any decision at all taken on the letter on the administrative side? If not, noting on the same be supplied recording reasons for inaction on the same. 3. Whether attention of the CJI was drawn to the judgment of constitution bench in Veeraswami’s case? 4. Whether the Registry had requested the CJI to place the letter before an appropriate judge, which would mean Justice Chelameswar, being the senior-most judge available, for action on the letter? 5. When and under what circumstances the CJI took the decision to convert the letter to criminal writ petition and whether reasons for the same were recorded? You are requested to give a copy of the said decision, which is already acknowledged in the judicial order passed by the bench of Justice AK Goel and Justice UU Lalit on 23.2.2017. 6. How was the matter placed before the bench of Justice AK Goel and Justice UU Lalit when the issue pertained to such serious matter, even if the letter was to be referred to the judicial side (although such prayer was made and it was impermissible to so)? Why it was not placed before the bench presided by Justice Chelameswar, the senior-most available judge? She also submitted a representation to Vice-President M Hamid Ansari and sought an SIT probe and registration of an FIR on the basis of her husband’s note.